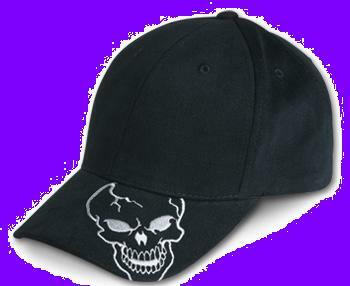 For those who need a full skull on their hat here's a great choice. This dark cap boasts a grey skull on the bill. One size fits all. Adjustable in the back.